Medieval times may possibly have been some of the most fit times in our historical culture, but not for everyone. Even though the era lacked the scientific knowledge we have now to explain nutrition and health, there was a natural occurrence that was keeping at least some of the people healthier. How was this possible? While the noble classes were feasting on huge meals and languishing at extravagantly decadent parties, the peasant classes were busy working hard physically to provide for their family. One of these classes benefited from a healthy diet, while the other suffered. Let's examine the role that citrus played in Medieval times. The wealthy nobles of the Middle Ages ate little fresh fruit for several reasons. Simple fruit was not decadent enough for their station in life. Also, unprepared food was viewed with some doubt, suspicion, and disdain because it came straight from the plant. Raw foods were considered unclean in aristocratic society. Food was extremely important to the peasant classes. It had to be plentiful so they could continue to work hard and provide for their families. Peasants were not fussy when it came to food. Common people and the poor also didn't possess cooking facilities to process food, so what could they do but eat what they could forage. The nobles, on the other hand, could lay around all day gorging themselves with piles of rich foods. For the nobles, the richer the food the better, since they equated opulence and decadence with power and wealth. And, nothing says opulence like sugary, highly processed, rich, fatty foods. Certainly, citrus and other fruit did not fit this bill, unless it was baked in pies or other sugary treats. Because of the lack of fresh fruit, the diet of the noble classes lacked the vital nutrients that citrus provides. This led to an assortment of health problems including bad teeth, skin diseases, scurvy, and rickets. During the Medieval era, some citrus was readily available, but often looked upon with sheer disdain, especially by nobility or the upper classes. Bitter Orange, Sweet Orange, Lemon, and Lime are found in documentation during the era, but not all of it was used often, or if at all. Bitter orange is a citrus fruit close to the orange, but very bitter. It must be cooked or candied to be good tasting and generally was avoided all together. 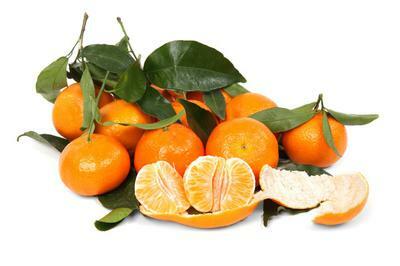 The sweet orange that we know of today appeared only in the later part of the medieval era. When you read the word 'orange' in a medieval text, it almost always refers to the bitter orange, which wasn't exactly welcome on most tables. In 13th century Arabic culinary cuisine, sourness was being added to dishes. The use of sour apples, citron, and pomegranates, in addition to that of vinegar, started changing how people felt their foods should taste. Citron which was widely available, was not like the citrus we are familiar with today. It had extremely sour flavors and did not contain much pulp or juice like oranges and other citrus do today. In Christian Europe, recipes with lemon juice, of Arabic origin, were called Limonia and they are found in the Liber de Coquina, or Book of the Kitchen, the Anonimo Toscano, the Anonimo Veneziano and the Modus. The Libre del Coch also uses lemon and orange juice for sauces and stews. Candied lemon was used in Arabian cookery, and was found again at the end of the 16th century in Lancelot de Casteau. Citrus only really gained in popularity as the Medieval ages waned, for several reasons. Could we suppose that one reason was the nobles were dying off, suffering from illnesses brought on from lack of the nutritional benefits of citrus? While citrus was considered by nobility too 'dirty' to touch, the health benefits alone kept citrus on the tables of the peasants. Is it coincidence that the noble class started failing, while the peasant class grew healthier and stronger? Perhaps not. The once disdained citrus, eaten only by the lower classes and the poor, has been lifted to super-food status in today's society... and rightly so!